You aren't seeing double, Juno and Vesta are nearly identical sisters! 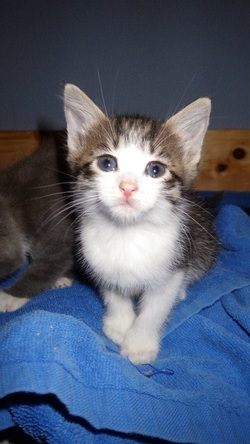 Juno is a sweet and affectionate girl, that gets along beautifully with other cats and dogs. She and Vesta are usually each others partners in whatever adventures they get up to in their foster home. Is her "take me home" look working?